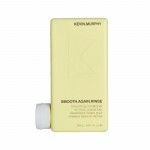 Kevin Murphy Rinses (conditioner) are all sulphate free, paraben free, and cruelty free. Conditioner is one of the most important steps in your hair care routine. It will lock in moisture, help to detangle, add shine and nourish, so remember to always use the sort that's right for your hair. 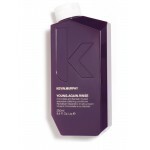 Kevin Murphy Angel.RinseA weightless volumising conditioner to increase cellular re-growth of the hair and scalp. 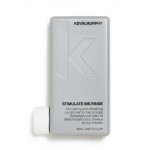 Moisturises and protects fine, dry and coloured hair without weighing it down.Size: 40 ml, 250 ml, 960 ml & 3785 mlHair Type & Condition: For fine, dry and coloured hairFeatures & Benefits: Moisturises hair without weighing it down, Protects the hair & scalp, High concentration of nat..
Kevin Murphy Hydrate-Me.RinseA super smoothing and hydrating conditioner for hair that just cannot be repaired or hair that is naturally dry or hair that lives in a very dry climate. 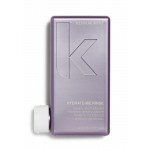 It will nourish dry hair and make split ends unrecognizable. 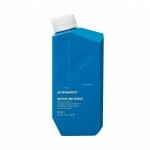 This formulation is still packed with antioxidants as this gives the hair a healthy glow and stops the hair from losing any more moisture.Size: 40 ml, 250 m..
Kevin Murphy Plumping.RinseA thickening conditioner. Lovely Hemsleya Root rich in Oleanolic Acid, nourishes and restores thinning hair / fine hair for thicker, stronger hair.Size: 40 ml, 250 ml & 960 mlHair Type & Condition: For thicker and stronger hairFeatures & Benefits: Hydrating, Protective and strengthening, Maintains hair in growth phase, Thickening, Helps prevent hair loss and damage from..
Kevin Murphy Repair-Me.RinseReconstructing strengthening conditioner with Shea Butter and Aloe Vera extracts that gently lubricates hair strands to help protect from damage, enhance manageability and provide a reflective shine.Size: 7 ml, 40 ml, 250 ml & 1 LitreHair Type & Condition: For all hair typesFeatures & Benefits: Nourishing, Restorative, Enhances Manageability, Paraben Free, Replenishing..
Kevin Murphy Smooth.Again.RinseTargeted smoothing and refining conditioner for thick, coarse hair. Using ion-based cationic technology, Keratin Protein mimics the structure of proteins in the hair to fit seamlessly where it is needed most for smoothing and refining. Cocoa Seed Butter acts as a natural layer of protection to seal raspy and split ends while reducing frizz.Size:40 ml, 250 ml & 1 LHai..
Kevin Murphy Young.Again.RinseNourish and restore youthful lustre to dry, brittle or damaged hair with this moisturizing conditioner. A complex of 20 Amino Acids, Bamboo and Lotus extracts strengthen, whilst Baobab and Mango seed oils smooth frizzy hair.Size: 40 ml, 250 ml & 960 mlHair Type & Condition: For dry, brittle or damaged hairFeatures & Benefits: Antioxidant, Anti-Inflammatory, Anti-Age..